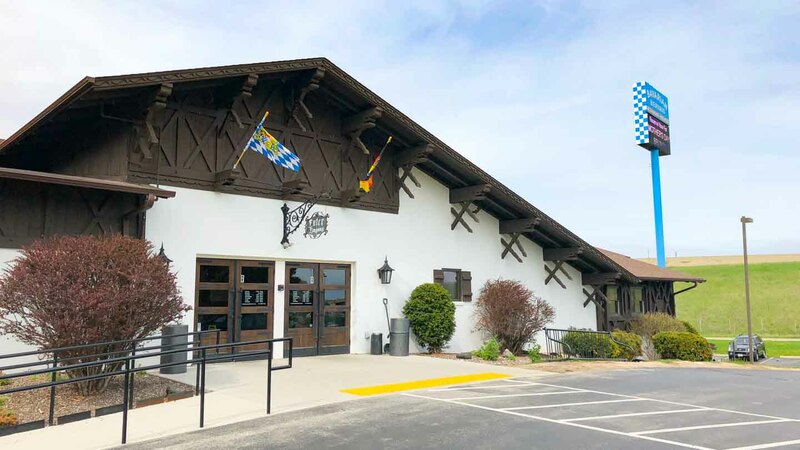 The Bavarian Bierhaus, located in Glendale just north of Milwaukee, brings a wonderful piece of Germany to the Milwaukee area. The space itself goes back to the 1920s, but in 2016 new owners renovated the existing building, added a new kitchen and brewing facilities, and breathed fresh life into a historic area. The theme is an authentic Bavarian beer hall with modern twists, and that includes new takes on classic German beers and foods. The beer hall itself is beautiful inside, and with an idyllic outdoor patio, the Bavarian Bierhaus is an excellent destination any time of the year. Its almost like going to Germany – without the hassle of getting on a plane. Stop over to the Bavarian Bierhaus for excellent beer, amazing food, and lots of good times. Outfitted with a state-of-the-art brewing operation, the Bavarian Bierhaus is certain to please the most discerning beer critics. Unlike many other craft brewing operations, the Bavarian Bierhaus emphasizes traditional German beers done really well. Few other places can you get German-style beers this fresh and with such attention to quality. As a result, you are unlikely to find over-the-top beer recipes that include exotic fruits or rare ingredients. However, the brewers do offer a few original spins on German classics, and even the more standard beers are brewed with an exacting quality hard to find elsewhere. Check out all of the great brewery tours in Milwaukee. The Brewhouse offers staple beers that are brewed year-round and a host of seasonal beers that rotate throughout the year. Like any craft brewery, it pays to check online before visiting to see which beers are currently on tap. Year-round beers include some iconic German-inspired beers. Always on tap are mugs of Schmutzig Helles Lager, an unfiltered golden beer, the Haus Hefeweizen, a wheat beer with notes of banana, the Herr Dunkel, a medium bodied dark beer, and the Ornery Brewer, a hoppy IPA. A few of the seasonal options include modern twists on classic beers, such as a refreshing pineapple hefeweizen, a smokey lager, an Oktoberfest-inspired beer, and the Mikes Ryepl, an amber beer that combines notes of rye and citrus into a smooth and complex flavored beer. The Bavarian Bierhaus also offers a list of artfully crafted cocktails and an extensive wine list, ensuring there is something to drink for everyone. The Bavarian Bierhaus is open Tuesday through Thursday 4:00 pm to close, and Fridays through Sundays 11:00 am to close. Tours run every half hour between 4:30 pm and 6:30 pm. The tours are free and come with a coupon for $5 a beer flight. There are also daily specials, such as senior and youth discounts, a happy hour that runs Tuesday through Thursday 4:00 pm-6: 00 pm (where you get half off beer and wine, and other appetizer specials), and rotating daily food specials, such as a popular Friday fish fry. Like the beer offerings, the restaurant at the Bavarian Bierhaus combines classic and traditional German dishes with modern flares. Appetizers (7$-$14) include staple options like Bavarian pretzels ($11) and potato pancakes ($9). There are extensive soup and salad options – a must-have is the Goulash, grab a cup for $4 or a full bowl for $6. A variety of sandwiches, burgers, and sausages offer ample choices, in addition to the selection of entrees ($12-$20). The entrée menu includes American dishes like ribs and steak, and German favorites like Sauerbraten and roast pork shanks. For your fill of German beer, food, and Gemütlichkeit, be sure to stop at the Bavarian Bierhaus in Glendale. Every September & October the Barvarian Beirhaus and Heidelberg Park comes to life with the sounds, traditional fare, and of course the beer of a German Oktoberfest. Milwaukee’s longest running Oktoberfest can be found here and the adjoining park. From mid-September to mid-October there is live music, German classics, and beer in liter mugs just like in Germany! Stop down with or without your lederhosen!